Puerto Rico is a commonwealth of the United States. It’s a vibrant, modern, bilingual, multicultural society, one that has been molded by Spanish, African, Indigenous and U.S. influences. Residents of Puerto Rico have much in common with their fellow Americans in the continental United States, yet they retain a decidedly Hispanic heritage. Puerto Rico is only 100 miles long by 35 miles wide, making it the smallest island of the Greater Antilles. Puerto Rico consists of an archipelago that includes the main island of Puerto Rico and several municipal islands: Vieques, Culebra, Mona and numerous islets. San Juan is the capital of Puerto Rico and the most populous municipality in Puerto Rico, with a population of two million people. The city was founded in 1508 by Juan Ponce de León. It’s also Puerto Rico’s main port of entry and has one of the best harbors in the Caribbean. Puerto Rican culture is rich and colorful. Our culture is a series of visual manifestations and interactions with the environment that make it different from the rest of the world. Puerto Rico, without a doubt, has several unique characteristics that distinguish its culture from any other. 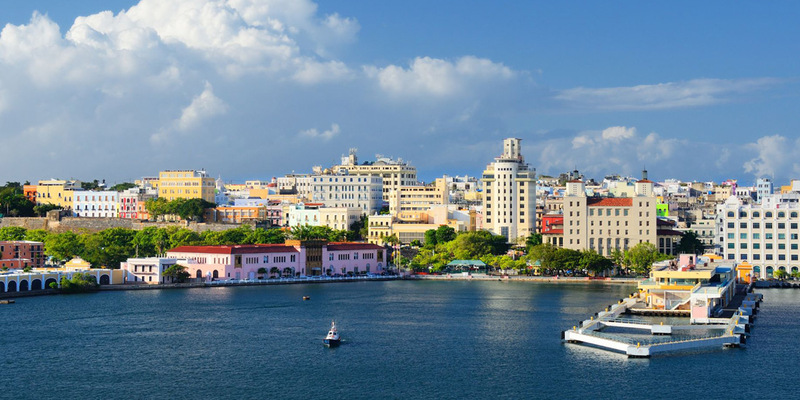 Both Spanish and English are the official languages, the local currency is the U.S. dollar, and no visas or passports are required to enter Puerto Rico for United States residents. To check if you need a visa to visit from your country click here.